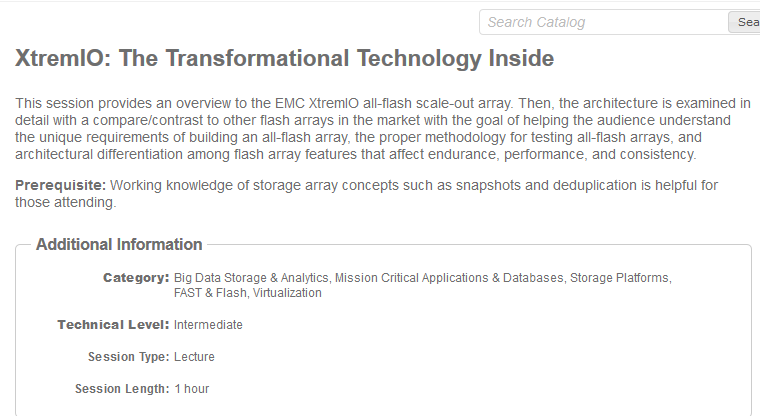 EMC World 2014 is coming soon, you can click on the banner above to register for it, this year is going to be VERY interesting as any other year but from our perspective (the emerging technology unit), it will be DIFFERENT, no more “area 51” about this “future” AFA that WILL change the world, this year, the XtremIO array has already been GA’d and it’s already CHANGING that market, many production customers are already USING the product and are amazed by the value it is bringing them every day and as such, we will have a lot to share, attached below are the sessions we have planned, you are all welcome to register for them, yours truly will have the VDI session running twice (or so I have been told) and of course, we would love to interact with you, our existing and future customers! 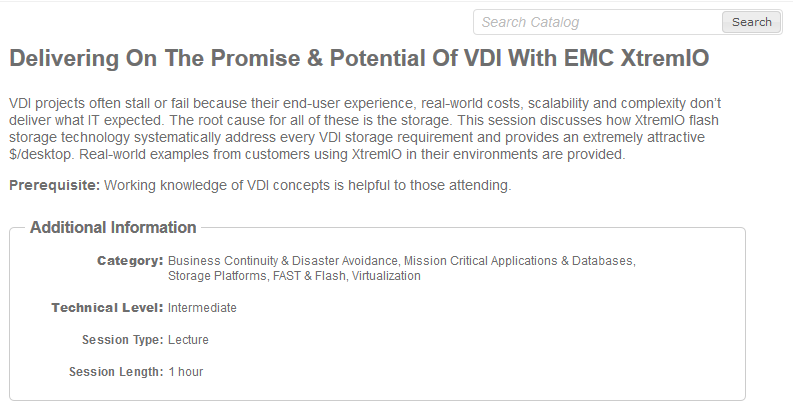 oh, and EMC is notorious for product announcements.. Previous Post Previous post: XtremIO 2.2 Service Pack 3 Is Out!